Fisher Precious Metals may be one of the smaller-sized national precious metals dealers, but as the saying goes – size is not everything. Their levels of personal service, coupled with a well-deserved reputation for honesty and deep knowledge of the industry have led to a fiercely loyal client base. Fisher sells bullion bars and coins, assist in arranging metals-backed retirement accounts, provide storage and assess / buy scrap gold. in addition to precious metals, they sell investment-grade loose diamonds at wholesale prices. Fisher Precious Metals is a national bullion dealer that works closely with both new buyers and experienced gold and silver investors. Whether you are buying or selling gold and silver bullion, investing precious metals in your IRA, or selling your unwanted jewelry Fisher can help with swift professional advice. They supply and buy all forms of domestic and international bullion, numismatic coins and IRA approved precious metals. In addition, as certified appraisers through the International Society of Appraisers (ISA), Fisher can provide clients with IRS Qualified Appraisals, estate liquidations and informal valuations. Physical precious metals provide you with a tangible, stable and secure investment to insure against inflation, market risk and global events. Bullion is the mainstay of Fisher’s business, with company owners having been personally invested in gold and silver bullion since 1995. Essentially Fisher carry all bullion products manufactured by the world mints, with consistent product availability – and all orders are securely shipped within 48 hours of cleared funds. All Fisher products are guaranteed under their 100% Authentication Services. This means they authenticate every coin or bar that they buy and sell, ensuring customers safety in all purchases. As part of this 100% Authentication Service, they employ the Sigma Metalytics Precious Metals Verifier, coupled with weight and dimension measurements for non-destructive digital testing of all other products. Fisher Precious Metals are also a Bullion DNA dealer with the Royal Canadian Mint, utilizing their state of the art digital technology. 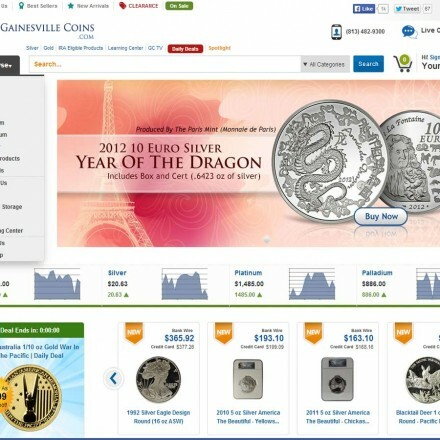 They are in the process of adding an e-commerce facility for gold and silver bullion purchases. Fisher Precious Metals has been handling all forms of Self-Directed IRAs for their clients for over 9 years. Considered experts in the low cost precious metals IRA arena, Fisher Precious Metals guarantee a quality transaction for all new IRAs, rollovers and transfers and their work with a variety of IRA Custodians and partnerships with multiple depositories ensures the perfect solution for individual client needs. They also offer what they believe to be the two best Offshore Precious Metals IRA offerings available for U.S. clients. Unlike most other coin dealers offering free appraisals, Fisher are certified appraisers with the International Society of Appraisers. 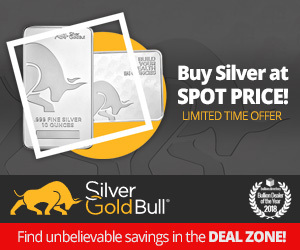 They will gladly provide free appraisals of all of your bullion bars, coins and numismatics and if you choose to sell, Fisher will pay top market prices for all of your pre-owned gold and silver in most forms (bullion, coins, bars and jewelry) as well as your pre-owned diamonds. All appraisals are handled confidentially. IRS Approved appraisals and formal estate appraisals are also available for a fee. 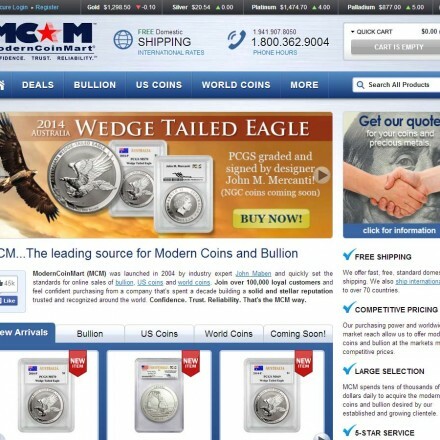 While bullion makes up the majority of Fisher’s annual sales, they also sell numismatics. However, there’s good reason numismatics form a smaller part of their overall business. Despite having wholesale accessibility and expertise in the numismatic arena, Fisher Precious Metals strongly believe that numismatic coins are intended primarily for the collector or hobbyist. Fisher Precious Metals are national buyers and sellers of GIA and EGL loose diamonds. This gives their clients an opportunity to buy certified diamonds from at wholesale pricing. Fisher will also appraise and pay top prices for loose diamonds or diamonds set in existing jewelry. With my firm you will never experience the fear and greed sales tactics deployed within our industry. My personal pledge is to advise everyone in the same manner I would a member of my own family in the same situation. Sometimes that means declining a sale in the better interest of the prospect. 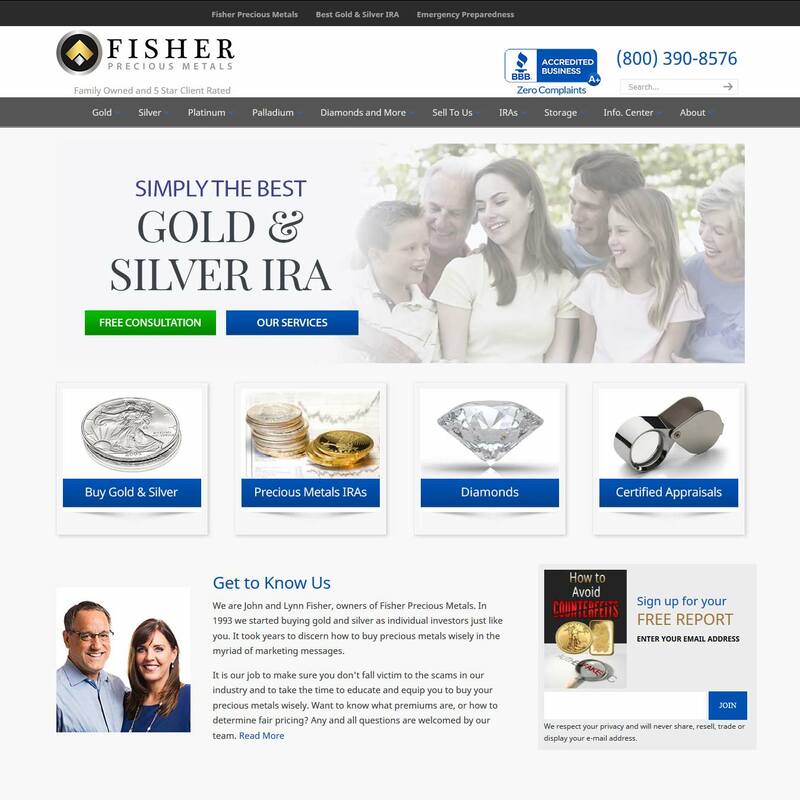 Fisher Precious Metals’ website contains some really useful guidance on precious metals investments, from the general – covering the gold investment process, to the specific such as looking at adding gold inside an IRA. In addition the site is host to regular insightful articles by company owner John Fisher. All legal and contact information is present. An attractive, modern and well laid out website with an easy to operate user interface, clear signposting and good-sized high contrast text for easy reading. There is not currently a mobile-responsive feature, so the site is best viewed on a desktop or tablet device. Fisher Precious Metals have already gathered a strong set of reviews from satisfied customers across all major review networks. Bullion.Directory recommend that any complaints should be made directly to Fisher Precious Metals in the first instance – their customer care line is (800) 390-8576. When doing business with Fisher Precious Metals - please say you saw them in Bullion.Directory. 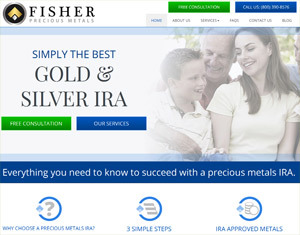 Read or add Fisher Precious Metals reviews and ratings using the "reviews" tab above. All Fisher Precious Metals details are believed to be correct at the time of listing. Please report errors here. The team at Fisher Precious Metals has helped us to buy our precious metals for years. They have provided sound advice, competitive pricing and always deliver in a timely fashion. They also transitionned my IRA seamlessly, and offered a great offshore storage solution. We rarely refer people/companies to friends and family, but we have referred Fisher Precious Metals without hesitation! I absolutely LOVE this company. I rated them 5 stars only because there wasn’t a 10 star choice. The team of professionals at FPM is as good as you’ll ever see in the precious metals business. Very honest, knowledgeable and kind people to deal with. It was a great pleasure doing business with John Fisher, he runs a wonderful business and GENUINELY CARES about his clients. He really takes the time to get to know you. Thanks for everything John. Top flight operation with a very knowledgeable staff. Great news letter. 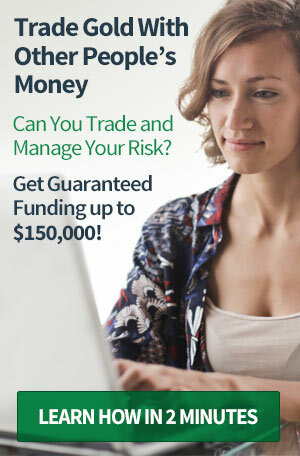 I was new to PM investing when I started with Fisher PM a couple of years ago. Since then I have made several purchases and set up a PM IRA. I talked to some national dealers but found that their premiums were very high and i preferred to deal with someone local that i could meet fact to face. John answered every question I had and explained PM investing to me. He delivered my first order personally to my house. I recommend Fisher PM highly. I had never purchased gold before. I did a lot of on line shopping for a precious metal dealer. I’m glad I chose John to do business with. He made me feel very comfortable, gave me good advice, and alleviated any fear I had about investing in precious metals. I am very impressed with the efficiency of the process, and received my gold in less than 48 hours after transmitting the bank funds. Thank you John for your personal touch and professional demeanor. I met John through a personal friend’s referral. I found (and find) him to be a man of character and a high level of integrity. THAT is why we chose to do business with John Fisher. Everything else can be learned in an “akademik” setting. The quality of his communication, educational information, questions/answers regarding our goals and expectations, and his plain old refreshing transparency is always welcome in our house! Thank you John. It’s always a pleasure. My family has trusted Fisher Precious metals with all of our physical metal asset purchases. In this field, it’s important to know that you’re dealing with real materials and trustworthy people. Fisher covers both of these bases completely. If you want to deal with a team that is knowledgeable, and just all-around good people, the team at Fisher Precious Metals fits the bill. They will explain the complexity of the precious metals market in a way that makes sense. They will give you honest un-biased advice even when it hurts their own bottom-line! All it takes is one meeting and you’ll know what I mean. This team works to build lasting relationships and keeps you coming back because they love what they do! I have been a client of Fisher Precious Metals since 2010 and I have always found them to be extremely knowledgeable and full of integrity. Since developing a relationship with them, I have referred numerous close friends to them and I have always received positive feedback from those I refer. I cannot recommend Fisher Precious Metals strongly enough. Fisher Precious Metals has been our precious metals dealer for many years and we have referred them to countless friends and colleagues. We are experienced gold and silver investors and we have found them to be the best in all areas: service, price and integrity. Had a great experience today. All my questions about investing in physical precious metals were answered by them in an easy to understand way. I can’t wait to do more business with them in the near future. If you are thinking about doing anything great for your future, this is the place to visit. Very professional, knowledgeable, and a great positive energy to work with. Diversify yourself today with the satisfying feeling of holding top quality precious metals. Thanks John for your expertise!